In 2015, Nigeria's voters cast out the ruling People's Democratic Party (PDP). Here, Carl LeVan traces the political vulnerability of Africa's largest party in the face of elite bargains that facilitated a democratic transition in 1999. These 'pacts' enabled electoral competition but ultimately undermined the party's coherence. 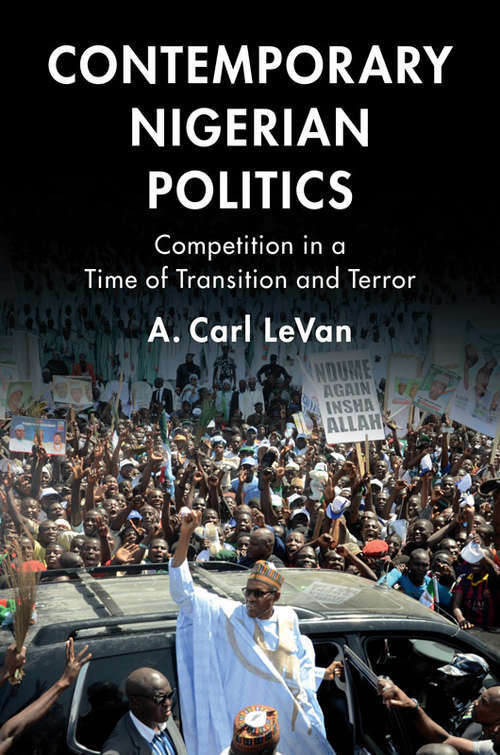 LeVan also crucially examines the four critical barriers to Nigeria's democratic consolidation: the terrorism of Boko Haram in the northeast, threats of Igbo secession in the southeast, lingering ethnic resentments and rebellions in the Niger Delta, and farmer-pastoralist conflicts. While the PDP unsuccessfully stoked fears about the opposition's ability to stop Boko Haram's terrorism, the opposition built a winning electoral coalition on economic growth, anti-corruption, and electoral integrity. Drawing on extensive interviews with a number of politicians and generals and civilians and voters, he argues that electoral accountability is essential but insufficient for resolving the representational, distributional, and cultural components of these challenges.